When it comes to your plumbing needs, you may be tempted to go with someone based on the lowest price. Sure you may have a small budget, everyone does, but this is not always the best way to go. I’m sure you have heard the old saying, you get what you pay for? Well this is often true when it comes to a quality plumber. Let’s start with the importance workmanship. Hiring just some random guy may not be the right idea, especially if it’s a big job, like clearing out a drain. Sure he may be able to get a pipe snake down there and get it cleared, temporarily, but what if you have large roots in your pipes? They probably won’t have the tools or equipment to inspect the pipes properly, such as a drain camera that travels down the drain pipes, identifying problems along the way. Will they have the tools to completely clear the pipes and correct the underlying problem permanently? Probably not. 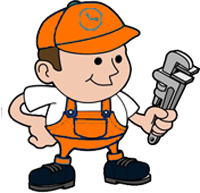 In fact, many of these low budget plumbers will more than likely refer you to a professional like Melbourne 24 Hour Plumbing.